Calvin Klein, one of the world's most famous design houses offers a woody oriental for men; which is an interpretation of the original. The notes are myrrh, spices, ambergris, vetiver, labdanum and agar wood. 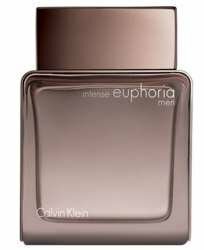 Created for the modern man, and is recommended for evening wear.Flaunt it on for casual or formal occasions, festive evenings or a romantic date and you are sure to receive complements for the luring fragrance. The soothing notes of this perfume spray lingers throughout the day and gives you a fresh feel.